Home | Guides | NES | Super Mario Bros. The Super Mario Bros games are three of the shiniest gems on the NES Classic Edition, and a big reason why a lot of people are compelled to own the little system. 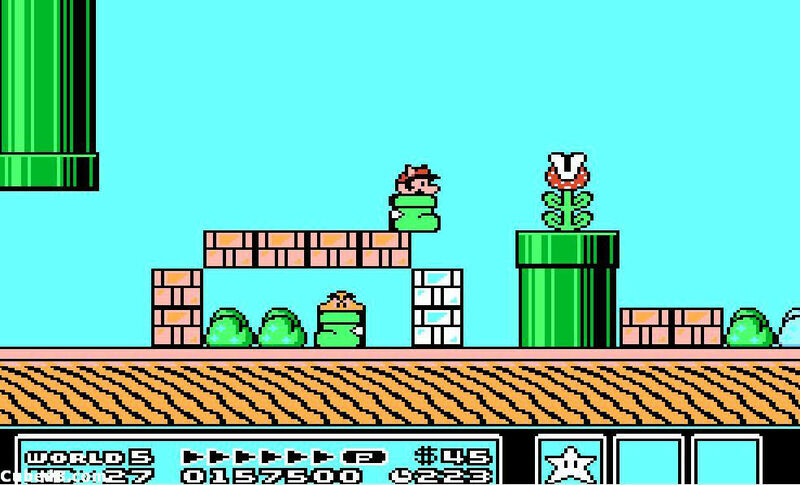 Most of us who grew up with the NES have fond memories of hopping-and-bopping through the Mushroom Kingdom (and SubCon). Unsurprisingly, these definitive action-platforming games still hold up today. They're also pretty tough! Here are some tips and hints to help you save the day. When you're done saving the world from Bowser and Wart, make sure to check out our other guides, FAQs, and articles about the NES Classic Edition and its games. Know your warp pipes - Warp pipes let you skip ahead several levels. 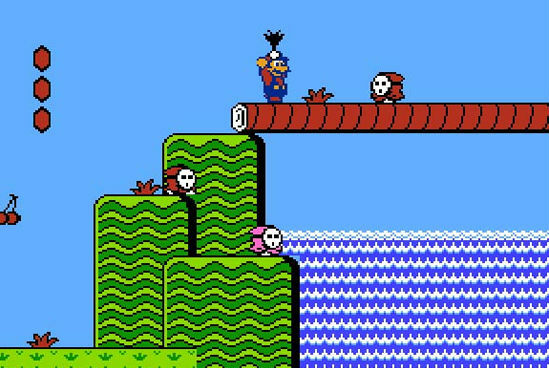 If you're looking to finish Super Mario Bros as quickly as possible, or you just want to skip some troublesome areas, you'll need to keep the warp pipes' locations in mind. Find the first set in 1-2 by leaping up onto the underground area's ceiling and running along past the pipe that exits the stage. Find the second set in 4-2 toward the middle of the stage. Look for a high platform that's three bricks long and jump underneath it to make a staircase out of hidden coin blocks. Hit the leftmost block to make a vine appear. Climb it to reach the warp zone. You can also reach a third warp pipe in 4-2 by staying on top of the level's ceiling and running past the exit, much like you can do in 1-2. However, this warp pipe only takes you to level 5. Stand under hammer arcs -- The Hammer Bros and Bowser himself are deadly foes because of their ability to throw hammers. Don't panic; stand under the hammers' arc, and you'll be fine. If you're up against Hammer Bros, stay close to them and punch the blocks they're standing on to defeat them (if you don't have a Fire Flower). If you're up against Bowser, stay close and dash under him as soon as he leaps into the air. Yes, this game has warp pipes too -- You can warp in Super Mario Bros 2, though it's a little bit trickier than in Super Mario Bros. In world 1-3, travel to the brick building near the end of the stage's outdoor portion, but don't go in the door. Instead, fetch the potion nearby and throw it near the jar beside the building. When you enter subspace, go down the jar to warp to world 4. In world 3-1, take a leap of faith at the huge waterfall and fall down instead of climbing up. Aim for the middle of the screen to land on a small platform. Enter the door to find another jar, as well as a nearby potion. Throw the potion, enter subspace, and go down the jar to warp to world 5. In world 4-2, you'll see another jar. This one's out in the open. Again, fetch a potion from the grass nearby and throw it near the jar. Enter subspace and go down the jar to warp to world 6. In world 5-3, you'll see another jar. This one's located on top of a tall platform, so you'll need a good jumper like Luigi to reach it (or you'll have to lure an enemy over to use as a stepladder). Again, use the nearby potion to enter subspace and go down the jar. You'll warp to world 7. Choose the right character for the job -- Super Mario Bros 2 lets you choose which character you want to play as in between levels (or after you get a Game Over). Mario is a solid all-around character with no particular strengths or weaknesses. Luigi is a very strong jumper, but quite slow and slippery. The Princess can glide, but is slow to pick up items and run. Toad is very fast and picks up items quickly, but has the weakest jumping ability. The key to getting through Super Mario Bros 2 successfully is knowing which character is suited for each level. The desert worlds have a lot of digging, which Toad excels at. The Princess's slow speed makes it easier to maneuver her on slippery surfaces in ice worlds. And Luigi's massive jumps let him skip over tricky platforming sequences. Grab five cherries to get a star -- If you nab five cherries, an invincibility star floats up from the bottom of the screen. These are invaluable when you're stuck digging in desert sand pits that are littered with Shy Guys and Snifits. Find the first Whistle in 1-3. Near the end of the stage, you'll see a white block. Duck on it for a few seconds until you fall through the block. Then run to the end of the stage. You should find yourself "backstage," where a Toad will give you a Warp Whistle. Find the second Whistle in Grass Land's Mini Fortress. When you start the stage, keep going right until you see a door and a low ceiling. Don't go in the door. Instead, use a Raccoon Leaf to build up enough speed to fly (jump on the Dry Bones first). Fly to the top of the level and go all the way right. Then press up to enter a secret door. You'll find the Whistle in a chest. The third Whistle is in Desert Land. Beating one of the Hammer Bros on the map should reward you with a hammer. Don't use it until you can reach the very end of Desert Land's map. There's a rock in the upper right-hand corner of the map, and it's not just decoration. Use your hammer here to reveal a hidden path. Beat the Fire Bros to get the third Whistle. By the way – the Toad House here has a Frog Suit, which is just what you need if you're going to Water Land! Quick warp to World 8 -- Want to reach World 8 in record time? Grab the two Whistles in Grass Land. Then, while you're still in Grass Land, use one Whistle. When you're in the Warp Zone, move Mario over to the World 4 pipe (you don't need to enter it) and use the second Whistle. You'll be warped to World 8 in no time. Know the hidden power of the Hammer Bros Suit -- The elusive Hammer Bros Suit is incredibly powerful. The hammers Mario shoots can wipe out nearly every enemy they touch, including enemies that can't be defeated with a stomp, a tail-spin, or fireballs. 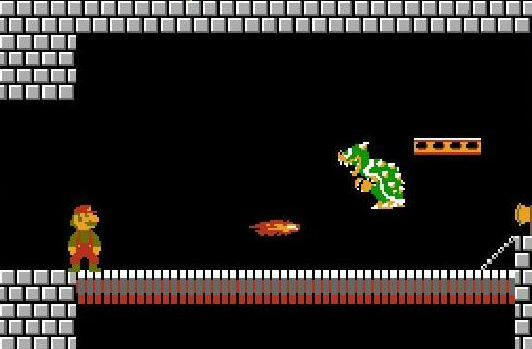 Even Bowser and the Koopa Kids will go down after a couple of hammers to the skull – if you can keep your suit on for that long (and if you do manage to rescue a king while wearing a Hammer Bros suit, you get a weird "Thank You" message from him. Try it). Also: When Mario ducks as a Hammer Bro, his shell protects him from fireballs. Know the hidden power of the Tanooki Suit -- Tanooki Mario can turn into a statue, which lets enemies pass behind him harmlessly. That's not the end of the suit's abilities, though. When Mario turns into a statue mid-air, he can stomp on enemies he otherwise can't touch. This includes Roto Discs, Lava Bubbles, Chain Chomps, Spinys, Boos, and Hot Foots. How to clear the N-Panel game -- There are several boards in Super Mario Bros 3's N-Panel card-flipping game, and it can be difficult to remember where each item lies. Here's a little hint that'll help you out, though: Every board has the same three items in its bottom right-hand corner. From right to left, you'll always find a star, a flower, and a mushroom. We also have tips for Donkey Kong, Donkey Kong Jr, and Mario Bros, plus we can help you pin down the locations of heart containers, magic containers, and rupees in The Legend of Zelda I and II. Tagged with Guides,	NES,	NES Mini: Classic Edition,	Nintendo,	super mario bros. 3.